The Signature Bridge project was approved in 1997 after a mishap on the narrow Wazirabad bridge, wherein a school bus fell into the Yamuna, killing 22 children. NEW DELHI: The BJP on Sunday flayed the "delay" in the completion of the Signature Bridge over the Yamuna river in Wazirabad and the resultant escalation in the project cost and demanded a White Paper by the AAP government in Delhi. 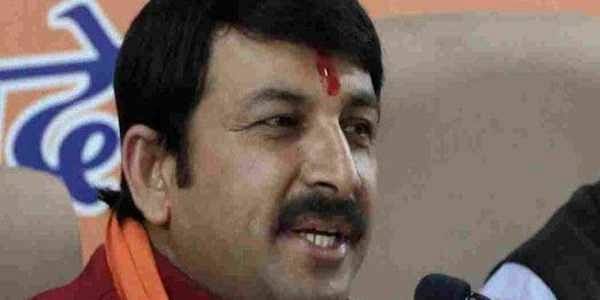 "The government led by Chief Minister Arvind Kejriwal should immediately bring out a White Paper to tell the reasons for the delay and increase in the project cost," Delhi Bharatiya Janata Party (BJP) President Manoj Tiwari told reporters during a protest against the delay. He said if the AAP government did not act soon, BJP workers will force the Kejriwal government to complete the work and also issue a White Paper. The completion of the bridge has been delayed by several years due to inadequate funds. Even the project cost has increased from Rs 1,100 crore to Rs 1,575 crore, becoming a major cause of concern for the Public Works Department. The PWD has released Rs 1,244 crore (excluding Rs 100 crore) so far. Hitting out at the previous Congress government, the BJP MP from northeast Delhi said: "In 1998, the Congress came to power in Delhi and sat over the project for five years. The construction started only in 2003." Tiwari said the project delay had caused huge loss to the exchequer and corruption. The BJP leader said that ever since the Kejriwal-led government came to power in 2013 and again in 2015, it had done little to speed up the work, except repeatedly raising cost and deadlines. "In 2014, after becoming an MP from the area, I repeatedly checked out with the company building the bridge. By late 2015, it was said that almost 90 per cent of the structural work was completed. Yet, two years down the line, the Kejriwal government is still extending deadlines and increasing the project cost," he added.